Cosmetic surgery procedures, particularly those relating to the body, are often thought of as being something sought after largely by females. 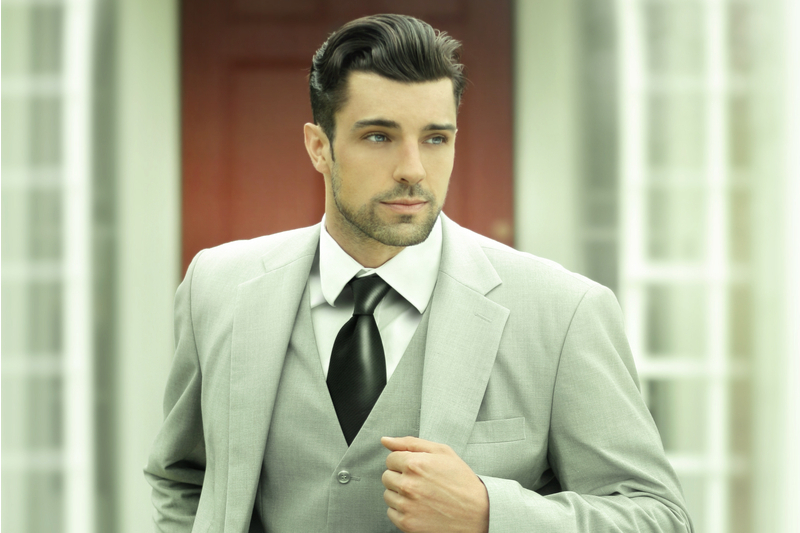 However, aesthetic surgery procedures are rapidly gaining popularity amongst males. Men can have the same desire to enhance their appearance as women, and are accessing aesthetic surgery and cosmetic medicine to attain these goals in significant numbers. The ideal male body shape is largely considered to be athletic, with a flat abdomen, broad shoulders and chest, and narrower in the hips and thighs. Of course, not all men naturally have this shape, and many work hard in the gym and eat right to help them obtain it. Nevertheless, there may still be areas of your body that just won’t tone up, regardless of how much you diet and exercise. This is particularly true if you have lost a considerable amount of weight, since you may be left with areas of excess fat and skin. Fortunately, there is one type of cosmetic surgery that is designed specifically to help remove stubborn pockets of fat and excess skin, and tighten stretched abdominal muscle, to help you achieve a smoother, tighter and toned silhouette: body contouring. • What is body contouring? Liposuction is well known as the go-to treatment for patients who find that they have stubborn pockets of fat. These usually occur on the chin, arms, chest, abdomen, hips, and, thighs. Perhaps most gratifying for men is liposuction of the “love handles” or flanks, which are particularly resistant to diet and exercise. In most instances, male liposuction is performed on the abdomen, chest and chin. However, you will need to discuss your individual requirements with your surgeon. Liposuction is a straightforward procedure that sees the excess fat carefully suctioned out of the targeted areas, giving you improved definition and a smoother shape. Small (less than 1cm) incisions are made in well-hidden areas and long, thin suction devices are used to remove fat as desired. The process usually takes under one to two hours, depending on the extent of surgery required. Recovery is comfortable and rapid. Abdominoplasty surgery is usually chosen by men who have hanging abdominal skin due to weight loss and / or loose tummy muscles. This surgical procedure removes excess fat and skin and tightens the muscles of the abdominal wall to create a smoother, tighter midsection. If you opt for an abdominoplasty or “tummy tuck,” you may need to take a longer period of time to recover. Fat transfer is the process of taking fat that was harvested from one area with liposuction and placing it in another area for additional volume or contour. In men, it is popular to use this technique to enhance the appearance of various muscle groups or for facial rejuvenation. A percentage of the fat that is transferred will remain permanently in place. The harvest process is similar to liposuction as described above. The transfer process is a series of small injections. The male chest is comprised of a combination of breast tissue and fat, and the relative amount of each kind of tissue varies from person to person. In some individuals, this amount of tissues grows to aesthetically unattractive levels. This can happened due to a medical condition, recreational drug use, genetics, after prostate surgery, or incompletely understood factors. Once medical causes have been rules out, we can address gynecomastia with liposuction or breast tissue removal through small incisions or a combination of both techniques. In some rare instances, excess skin needs to be removed through more extensive incisions, but this can be determined during your consultations. These may be life-changing procedures for men that suffer with this problem. If you would like to find out more about any of the male body contouring procedures mentioned above, or if you would like to schedule a consultation with our friendly team, please do not hesitate to call our office in Manhattan, New York at 212-249-7500 or emailing us at reception@drmatarasso.com.